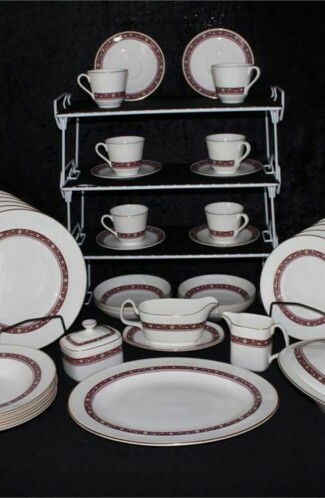 The Heirloom Pattern Stoneware by Pfaltzgraff, was their first Pattern Designed Specifically for the Bride. Produced in the USA in 1984 to 1993. 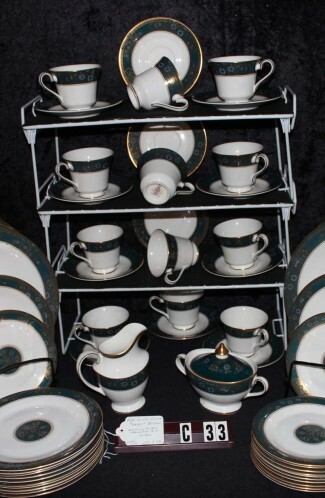 We are offering this wonderful and huge (91) Piece Set. 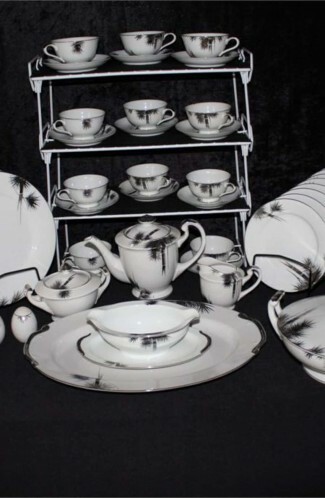 Check the Long List of varied Items below that are included with this unbelievable set. Base color of the pattern is Light Gray with a Raised Scalloped Edge. 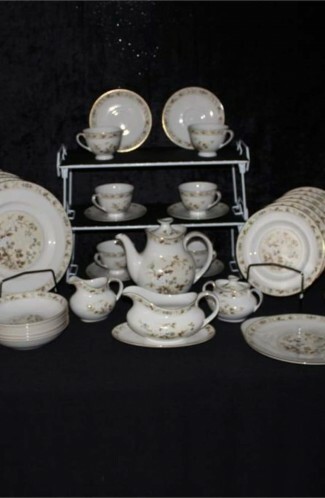 There are White Flowers and Gray Leaves applied as Decals on the Lip of the Plates, as well as other Pieces, as can be seen by the Pictures. A Gray Verge is also apparent on the Pieces. 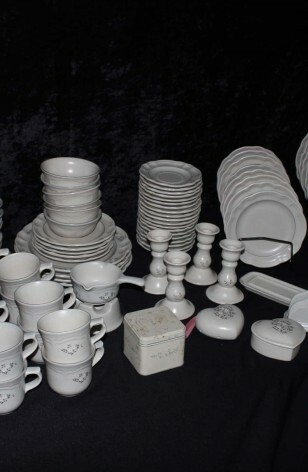 19 - Saucers - 6"
13 - Salad Plates - 7 1/2"
12 - Dinner Plates - 10 1/2"
6 - Fruit/Dessert/Sauce Bowls - 5"
6 - Cereal Bowls - 6"